This angel is praying for all our fur babies. You can stitch this out for a special service dog or for a companion. Either way they are a blessing to us! 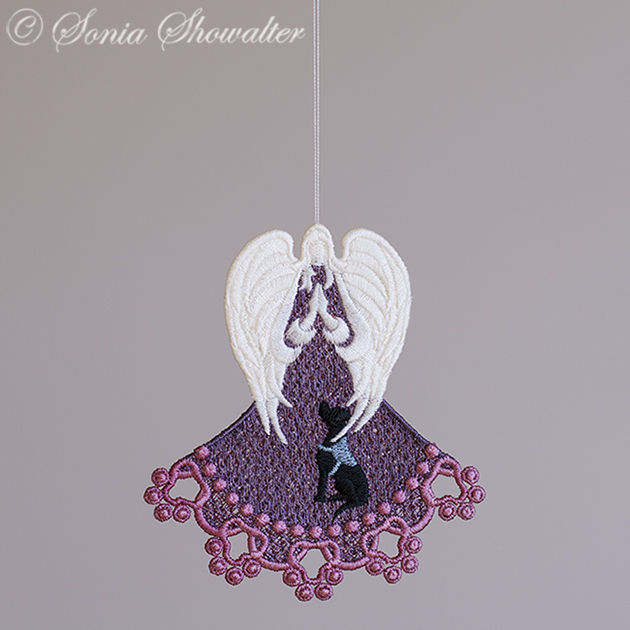 These angels are completely free standing lace. To see all the angels in this series, please click here. 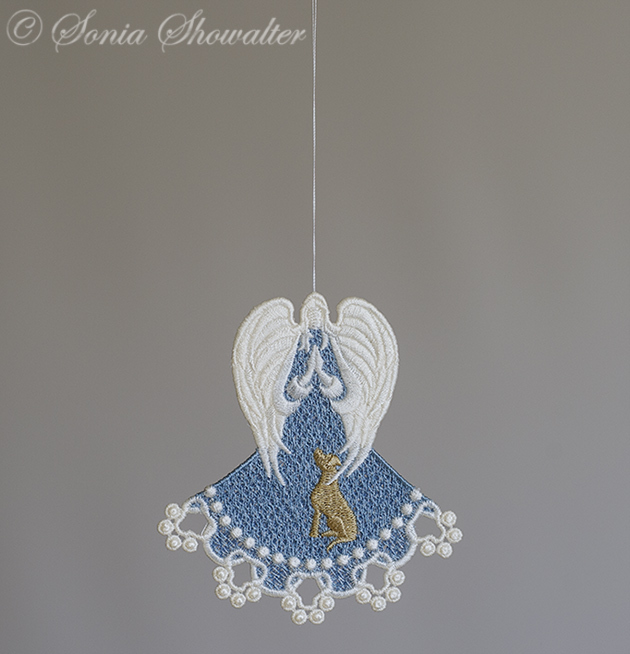 Please see our comprehensive video on how to stitch beautiful lace! It's free to watch! 1- One with the service vest. 2- One without the service vest. There are no jumps in these designs.